Vaiko walking out of the NDA in Tamil Nadu is no big deal, but what it portends is really bad news for the BJP because its best selling model of cultural nationalism will be a dud in the state and soon, it will be devoid of allies. As a result, if the BJP doesn’t devise a unique strategy, that is distinctively different from its policy on Gita, Sanskrit and Sri Lanka, its revival in Tamil Nadu is likely to be a non-starter. In the coming days, more allies — first the PMK and then probably even the DMDK — will be forced to take a stand on these issues, which will push the BJP into an unviable position that Congress has landed itself in. The state leadership of the BJP has put up a disconcerted front. Party president Tamilisai Sounderarajan said that the NDA and the BJP will not be affected by MDMK’s departure. "We are not the losers," she reportedly said. 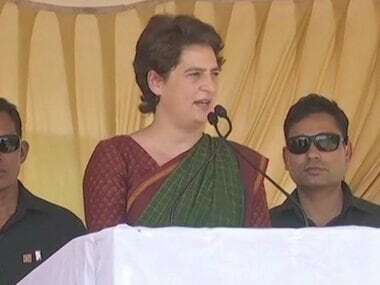 However, what she conveniently forgot was that Vaiko was their first ally in the state for the 2014 Lok Sabha campaign. Others came in after him. The possibility of them following in his footsteps of cannot be ruled out. In fact, it is a threat that will most likely be real if the BJP doesn’t do some firefighting and long-term planning. 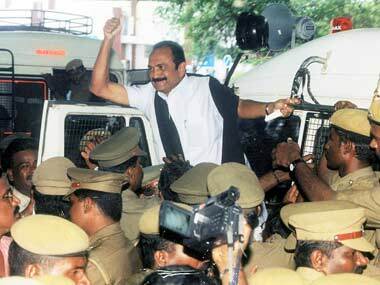 MDMK chief Vaiko walking out of the NDA in Tamil Nadu is no big deal, but what it portends is really bad news for the BJP. Following the MDMK, the PMK also has spoken out. "Sushma Swaraj's act of pushing the opinion of one section of the people on the entire country is condemnable," PMK president S Ramadoss said on the move to make the Hindu text a national scripture. He said the only national scripture for Tamils was Thirukkural. 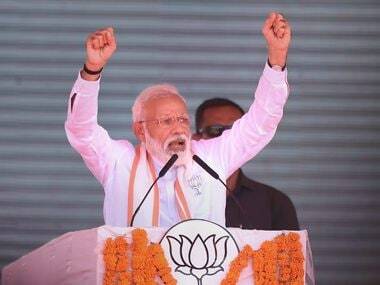 What’s more, he accused Narendra Modi of imposing language and culture instead of launching any laudable schemes since the government came to power. These are ominous words. Last week, Ramadoss had said that Modi was not above criticism while slamming Delhi’s Sri Lanka policy. If the BJP wants to build the party in Tamil Nadu, it has to work bottom up. It has to build the party from the grassroots. Apparently, that’s what the national president Amit Shah has in mind. But to be successful, what’s more fundamental is that the party should look and feel like a homegrown outfit. The pathetic history of Congress in the state is a scorching reminder that national parties don’t have any relevance or role in Tamil Nadu unless they adapt to local conditions. Therefore, the BJP cannot contradict the Tamil parties’ collective approach to Sri Lanka. For them, the island nation’s regime has committed war crimes against Tamils and it’s continuing to target innocent fishermen from Tamil Nadu. Politically, they cannot settle for anything less than an active role by India to bring the Rajapksa regime to book. Whether, it has any real electoral relevance or not, it’s a non-negotiable position. To dream of building a party without subscribing to this position is foolish. Modi wishing Rajapaksa for yet another term in office at the recent SAARC summit is bad news indeed. Equally sensitive are the issues of culture and language. The anti-Hindi agitations before and after independence in the state should be a perpetual reminder of the emotional volatility of people against any imposition of language other than Tamil. 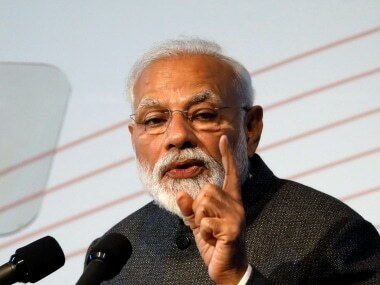 Anti Hindi protests resurfaced in 1986, when Rajiv Gandhi introduced the national education policy, and in 2014, after Modi government took over, when the home ministry asked officials to give priority to Hindi on social networking sites. The then chief minister Jayalalithaa had said that it was a "highly-sensitive issue and causes disquiet to the people of Tamil Nadu who are very proud of and passionate about their linguistic heritage”. Although subdued for the time being, there are also inter-state water issues such as Cauvery and Mullaiperiyar. Can the BJP take a pro-Tamil Nadu stand? 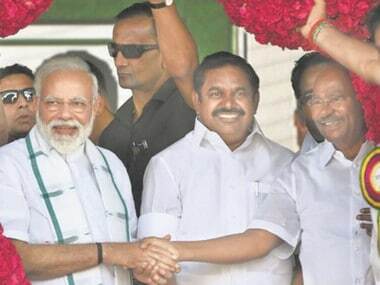 So, where does the BJP start in Tamil Nadu? It should learn from the Congress that it’s really hard to be a national party in the state and that India’s federalism is reflected in its politics as well.